Sophie Robinson, interior stylist, writer and TV presenter, cleverly combines fabrics from our new collection of curtains and Roman blinds to design an eclectic interior in her unique Colour Clash style. Sophie Robinson’s signature style certainly packs a punch. 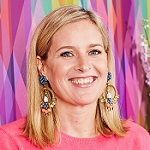 Renowned for her colourful interiors, quirky vintage knick-knacks and upcycled treasures, Sophie has carved a niche in creating colourful, playful interiors that are both inspirational and accessible. Having toyed with woodwork, jewellery, ceramics, metalwork and plastics during her student years, Sophie is understandably passionate about the design process and the importance of experimenting with colour, form and function. We gave Sophie free rein to choose any fabrics from our sensational new collection of curtains and Roman blinds. True to form, Sophie chose to combine a flirty floral with an edgy geometric to create a fabulously flamboyant interior. At the window, Sophie was instantly drawn to the vibrant watercolour florals of Caprice Paradise for her Roman blind, which she teamed with strong geometric Eclipse Denim curtains. The finished look is wonderfully original, eclectic and totally unexpected. Create a vibrant Colour Clash look in your home. We share the key design elements of this joyful look to help you design your own unique take on this colourful trend. Discover more about interior designer Sophie Robinson. 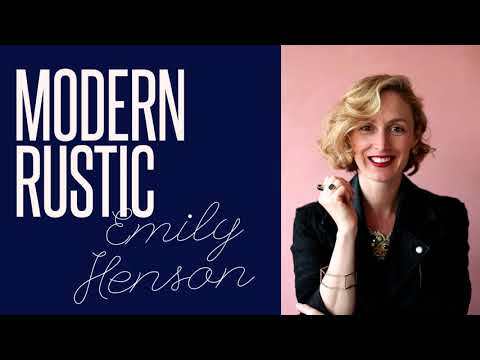 In this interview we chat about her design inspiration and approach. Plus she shares her top tips for designing with curtains and Roman blinds. Our stylists create on-trend looks colour clash, urban glamour, minimal luxe and modern rustic and show you how to you to bring these fabulous themes to life in your own home interior. Create your own designer look with help from our expert advisors. We’ll bring our entire range of fabrics to your home for you to browse at leisure. Your advisor can help you find the perfect colours, styles and performance features for your home and lifestyle, and can even show you how they’ll look at your window with our clever visualisation app. Then, when you’ve found exactly what you’re looking for, we’ll accurately measure your windows and return to professionally fit your gorgeous made-to-measure curtains or blinds.